It is very important to know what to expect when you are buying a home. Although different banks and lenders often advertise their lowest percentage rate to get the attention of home buyers not everyone qualifies for this. So how does the bank determine what rate loan you do qualify for when purchasing a home? It’s all about your credit score. The higher your credit score is the less of a risk you will appear to be to the bank and in the end this will result in your being offered a more competitive rate on your home loan. Many people don’t realize it but your credit score is actually determined by three separate credit agencies (Experian, Equifax and TransUnion) and the bank will normally review all three before making a decision. Usually it’s not the highest or lowest score that you have but a rough average of all three that lenders use to determine your credit worthiness. That’s a tricky question to answer because each lender has their own set of guidelines to follow. Some lenders may offer their lowest rates to people with scores above 660 while others may go as low as perhaps 620. Keep in mind that payment history, income and a variety of other factors may also influence what the bank will offer you in terms of a home loan. 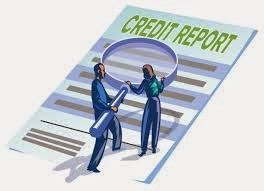 Credit scores in the 500+ range are usually when the borrower is offered what is known as a subprime loan, which is a loan that may be a couple (or more) percentage points higher than prime loan rates. I have never met anyone with perfect credit and perfection is not required to have a score in the 800’s. What is required is a history of paying your bills on time and no habitual late or missed payments. Making a credit card payment late once in a while is not the end of the world but if it becomes a pattern it will have a definite impact on your credit score. Remember one thing, if you do have bad credit that there are things that you can to do improve it. Beware of companies that advertise the ability to raise your credit scores. Although there are some very reputable companies that will work with you there are also many not so reputable companies. In the end it’s probably better if you improve your credit on your own; this will save you time and money in the long run. As a matter of fact that is what tomorrow’s blog will be about so if you need some information on this topic you might want to take a look at it!